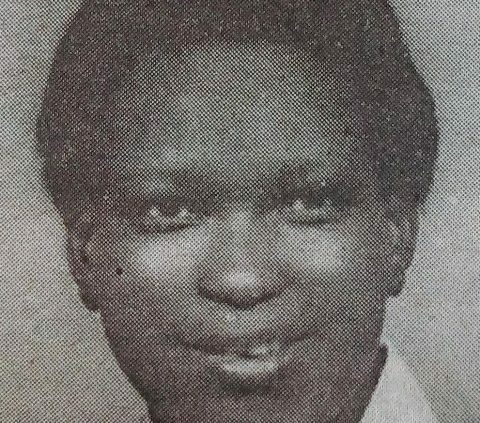 We, the family of the late Regina Beth Ndindi Nzioka (Mami) wish to thank God for the comfort, peace, strength and favour following the demise of our dear mum, grandmother, aunt and friend on 17/ 3/2019 and the celebration of her life on 30/3/2019. We also thank God for the many wonderful years He allowed Mami in our lives. We wish to convey our deepest and heartfelt gratitude to all those that condoled with and gave us overwhelming spiritual, emotional and material/financial support during this difficult time. 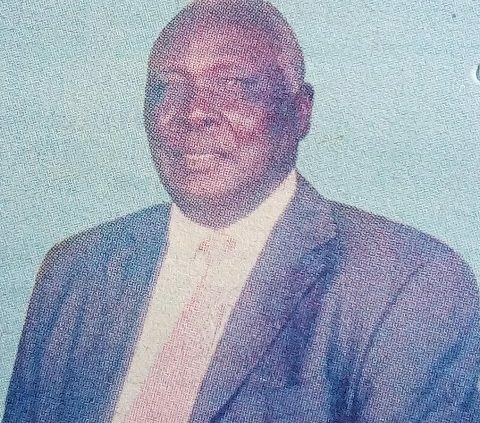 Special thanks to Dr Paul Ngugi who, for a long time walked with our mum in managing her conditions, Fr Dominic, Kangundo Parish assisted by Seminarian Joseph Nzeki for presiding over the burial ceremony, St Thomas Ngiini Catholic Church choir and community, St Benedate small community (Jumuia) Ngiini, Catholic Women Association from Ngiini, Kaani and Don Bosco, Nairobi,World Food Programme staff and Muika wa Kanzalu. 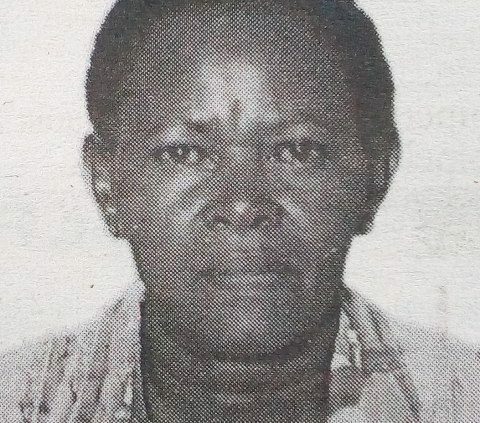 We would also like to thank the organizing committees in Nairobi and Montana, Kangundo led by Geoff Kithome and Lenny Kilonzo/ Fidelis Kimeu respectively for well-coordinated events that led to a dignified send off for our mum. Since it is not possible to mention each one of you individually, kindly accept this as our appreciation for the support you accorded us during our lowest time. May God bless each one of you in special ways. Mama, In the wake of your departure a year since, It still feels unreal and the pain of your loss is still so deep. We have kept you in our hearts, thoughts, conversations and actions knowing that one day we shall be reunited in the place of glory. Loved and missed dearly by your children, daughter-in-law, sons-in-law, sisters, brothers, cousins, grand children, relatives and friends. Sincere gratitude to all those who stood with us, supported us and continue to pray for us during this trying time. May God Bless you All. 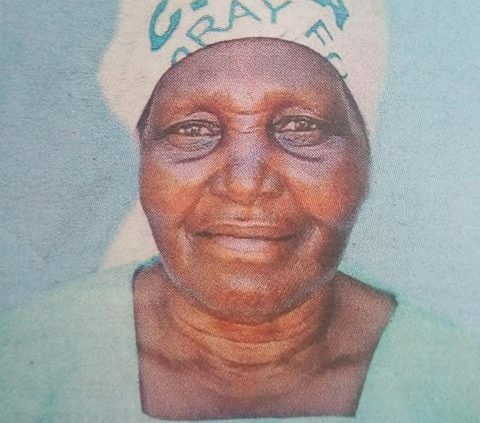 Prayers to her honour will be held later at her home in Abolol Village, Angurai Division, Teso North Sub-County, Busia County. In God’s Loving Hand you rest, In our hearts you are cherished Forever. Our Dad/Brother/Grandpa Our HERO, a man with a heart of Gold….A year has gone by… one very long year without you Dad. Every day without you has been hard, we wish you were with us. You were the guiding light in our lives and constantly remember how fortunate we were to have you as a father for as long as we did. We sincerely, treasure the legacies you left us, we shall faithfully pass it on to our generations. You fought a good fight of faith, run the race & now shining with the angels, on your footsteps we’ll run, till we meet. Affectionately remembered by your wives Evelyn Tungo, Rosa Teriki and Josephine Tarkok, Your Children Shadrack and Bornes, Lorna and Deus, Norah and Erickson, Dorothy, Henry and Norah, Andrew and Nellie, Flora and Francis, Nicholas, Chumbin, Jackline and Kim, Cynthia, ,,Jancy,Lawrence and Margaret, Valentine and Nick, Vivien, Naomi, Benjamin, lrene & Mercy, your brothers and sisters Hon.William Morogo, Nelson, Isaac, Nixon, Erastus, Samuel, Job, Harun, Esleen, Lily, Susan, Grace, Judy, Rosaline, Lydia, your Grandchildren, Great Grandchildren & all the relatives. You may not be with us physically, but forever in our hearts. Our love for you will never die. Continue resting in perfect peace as you watch over us. Our appreciation goes to Doctors at Mediheal Eld & Nkr, Nairobi women-Nkr, Dr. M. Koech, Dr. Gil Solai Medical Centre, Dr. Moses Solai, Joshua Chepkwony Kass Fm, Eldoret, Nairobi, Nakuru, Kisanana & Solai Teams, NHIF, CITAM Nkr, EACC, Kabarak Univ, Kipchichim Sec sch, Kabartonjo AP Sub county, Eastleigh Pharmaceuticals, Ministry of labor, AIC Kisanana, Emarangishu & Kasururei, Denmark family, all our friends & neighbours. We are forever grateful to you all the people who stood with us in our moment of need. Your support eased our pain and we never felt alone. 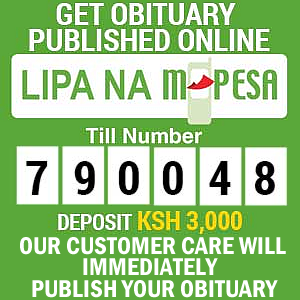 We the family of the late Mwalimu Samuel Kibe Kimani (S.K. 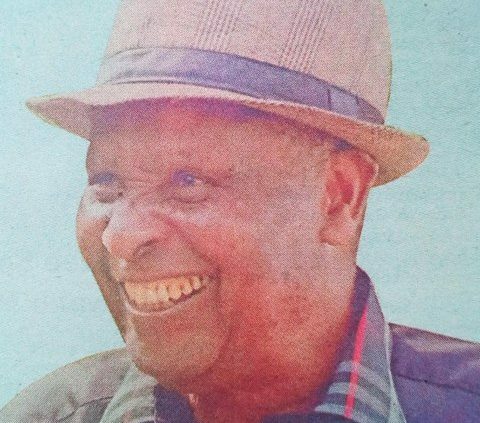 Kibe) wish to express our heartfelt gratitude for the outpouring of love, prayers and support received following his passing on. 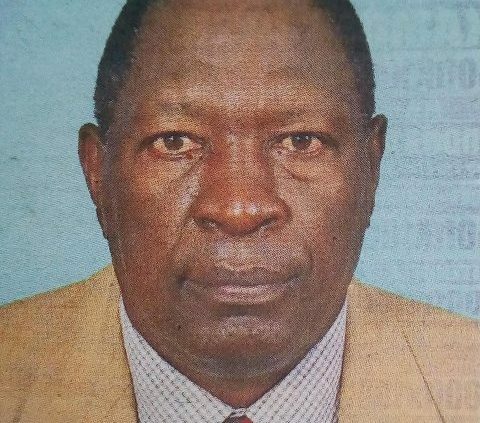 We have been humbled by the kind words and tributes from the church, clergy, our relatives, our in-laws, friends, neighbours and his former students at Nyandarua High School, Nairobi School, and Highway Secondary School, as well as his former colleagues at JICA and in the education sector. Your support continues to encourage and uplift us. We would also like to thank everyone who helped during his period of illness, especially the doctors, nurses and those who provided care and attention. We will eternally be grateful for the prayers offered and the encouragement given during that period. 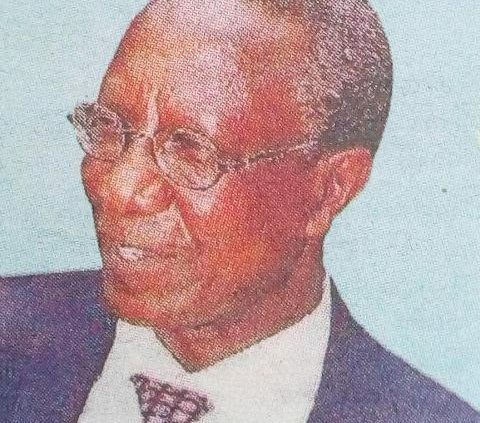 We, the Family of the late Geoffrey Kamau King’au (GK), express our heartfelt gratitude to all our family, friends, and well wishers who stood by us during the extremely difficult period of GK’s illness and demise. Our deepest appreciation to Murang’a Governor, Mwangi wa Iria, and the Committee that spearhead GK’s medical support both locally and abroad. Heartfelt thanks to Dr. Gladwell Kiarie and the medical teams, both local and international, that managed GK’s medical needs. Special thanks to Governor Joseph ole Lenku, Equity Bank Group CEO Dr. James Mwangi, Rt Rev Bishop Gichere of ACK Mt. Kenya Central, ACK and PCEA churches that attended to us in Nairobi and Murang’a, and all those who encouraged us through personal visits, tributes and contributions to GK’s medical and funeral expenses. We thank you all for giving GK a befitting send off. You, our family and friends, have been a source of comfort in our darkest hour. We are truly humbled by your support. Today marks one year since you rested, Mom. The pain of your loss is still so present, sometimes it’s hard to believe that you are realiy gone. Memories of laughing, be loved, guided and supported by you keep us going. You are remembered with so much love by your children Victoria, Elizabeth, Robert and also by your extended family. One this day, we the children of Grace wish to extend our deepest appreciation and gratitude for the love, comfort and support shown to us by friends and family after her passing and throughout the past year. We could not have gotten through that very difficult period without you. 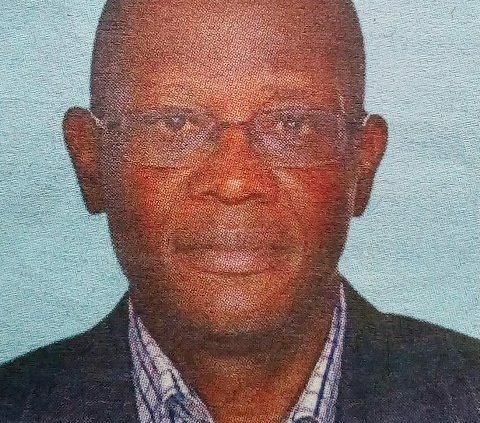 The Family of the Late Nathan Obwana would like to convey our deepest gratitude to all those who stood with us following the passing on of our beloved husband, father and friend. Your prayers, emotional, physical and financial support gave us the strength to endure the loss. We would like to thank God Almighty for the blessing of many years of joy and accomplishment that we had with him. We take this Opportunity to thank the first responders at the accident scene and all those who administered first aid. Bungoma Referral Ambulance team. PC Jane of Traffic Police Bungoma. Doctors and Nurses at Bungoma Hospital. Our sincere and heartfelt gratitude to Rt, Rev George Omuse Okude Bishop of Katakwa Diocese. His Excellency Governor of Bungoma County Hon. Wycliffe Wangamati, Senator Hon Moses Wetang’ula, Sirisia Mp Hon. John Waluke, Woman Rep. Hon, Catherine Wambilianga, Hon Arthur Odera former MP Teso South, Mr. Moses Nandalwe, former and current MCA’s, DCC Bungoma West, Mr. Kurui, OCS Lwakhakha, Mr. Mutua and all other dignitaries who took time to condole with us. We are grateful for the support of ACK Kabkara, Salvation Army Kabkara, Katakwa Fellowship Nairobi, Hekima Centre Nairobi. Old Cambrians ’95, Kakamega High Alumni ’92, Nandalwe Foundation, Kenyans in Australia, Teso Council of Elders Bungoma Chapter, Teso Professionals Bungoma, BBB Retirees, Nairobi Water, KCB Bank, Machakos County Hospital, Ipasam clan, Igoria clan, neighbours, the local community and the people of Lwandanyi Ward of whom he served diligently for over 20 years. 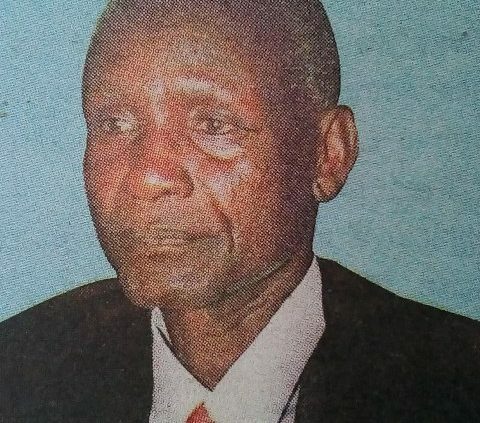 Thanksgiving service will be held this Saturday 13th April at his home in Kabkara, Bungoma County. We the family of the late Dr.William Mwatu wish to convey our sincere gratitude for the support extended to our family through prayers, words of comfort and financial support during a very challenging and agonizing moment, a trying and sorrowful moment for us following the hospitalization and demise of a dear husband, dad, brother, uncle, nephew, in-law and a friend. As a family, we wish to recognize and pay tribute to his team of doctors led by Dr. Wairagu, Dr. J. Kiboi, Nairobi Hospital staff, KAPI, NQCL, GSK, PSK, KHF, IFPMA, the clergy and members of Nairobi Baptist Church, Nairobi Chapel, C1TAM Ongata Rongai, Christian Revival Church Nakuru, our many friends and colleagues, neighbours both in Nairobi and Kambu. A special thanks to the fund-raising and funeral committee. A very special thank you to all his friends some of whom have stood with him since childhood. The family is humbled by your love and generous contributions for it is through this that we have been able to settle the hospital bill. We acknowledge that there are very many who stood with us. As it is not possible to individually thank each one of you in this appreciation, kindly accept this as our sincere gratitude. We were overwhelmed and humbled by your love and kindness. 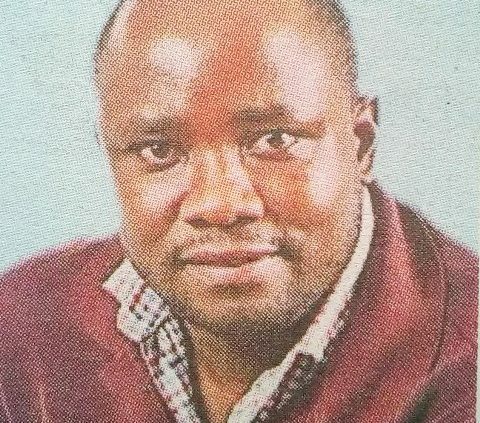 The family of the late Steve O. Odhiambo (Sande) wishes to convey our deepest and heartfelt appreciation for the overwhelming support, prayers and messages of comfort during the hospitalization and subsequent demise of our beloved brother, loving husband, father, a trusted friend, dependable colleague and a mentor to many. The journey towards his sendoff would not have been seamless and befitting as it was without your emotional, physical and financial support. We are grateful to the Almighty Father for the years He gave us Steve and the immense impact he made in our lives and many others. Our special appreciation goes to Fr. Abel, Fr. Kulwa, Fr. Nduati and Fr. Swai all Salesians of Don Bosco, Fr. Joseph (Augustinian), Fr. Raphael (Camillian), Fr Andrew (Comboni) and Fr. Lawrence (Uwai parish). Your prayers and support truly confirmed Steve’s contribution to the church as a humble and dedicated servant. We were humbled and touched by the support from Catholic Men Association, Man Enough Programme, Sadaka Team, Medical Camp Team and BI. Maria Romero Small Christian Community from the Shrine of Mary Help of Christians, Upper hill; we appreciate your kindness, generosity, consolation and prayers during this trying moment. We will forever be grateful to the funeral committee led by Alfred, the Vihiga 1998 alumni, Kampala International University 2004 Alumni, Steve’s special friends, neighbours at Muthama Heights, Verona Huruma Sacco, Kenya Paraplegic Organization, St. Joseph’s Uwai sons and daughters, Industrial Area friends, Supremacy group, syokimau Wagon group and Kanyaudo Community; thanks for your diligence and commitment in ensuring Steve got a decent send off. Since we cannot mention each one of you individually, kindly know that your prayers, consolation and support during this time meant a lot to our family. We could not have done it without you. May The Almighty Father Bless you all.